Answer: How do we hear the voice of God? The loftiness of our qualities or the length of our experience do not count in this. Believing in the Lord Jesus, what do we feel when we hear many of His words? Though we have no experience and knowledge of the Lord’s words, the moment we hear them we feel they are the truth, that they have power and authority. How does this feeling arise? Is it generated by virtue of our experience? It is the effect of inspiration and intuition. This suffices to prove that people with heart and spirit can all feel that the words of God have power and authority; this is hearing the voice of God. Furthermore, the greatest difference between the voice of God and that of man is that the voice of God is the truth and has power and authority; we can feel it as soon as we hear it. Regardless of whether we can put it into words, the feeling is clear. It is easier to discern the voice of man; no sooner do we hear it than we feel it is understandable and attainable. We feel not the slightest power or authority in man’s words, and even less can we confirm they are the truth. This is the greatest difference between the words of God and the words of man. For example, we see that the words of the Lord Jesus have power and authority; as soon as we hear them we can confirm they are the truth, they are profound, mysterious, and beyond the measure of man. Now, let us look at the words of the apostles in the Bible. Though most of them are born of enlightenment by the Holy Spirit, they have no authority or power. They are simply correct words, no more than words that benefit people. Let us also discuss, could any man speak the words that the Lord Jesus did? There is no one who could. This affirms the words of the Lord Jesus as the voice of God. Making comparisons like this, aren’t we able to distinguish between the voice of God, and the voice of man? Let us read some of the words of Almighty God and see whether the words of Almighty God are really truth and the voice of God. Almighty God says, “Throughout the universe I am doing My work, and in the East, thunderous crashes issue forth endlessly, shaking all nations and denominations. It is My voice that has led all men into the present. I shall cause all men to be conquered by My voice, to fall into this stream, and submit before Me, for I have long since reclaimed My glory from all the earth and issued it forth anew in the East. Who does not long to see My glory? Who does not anxiously await My return? Who does not thirst for My reappearance? Who does not pine for My loveliness? Who would not come to the light? Who would not look upon the richness of Canaan? Who does not long for the return of the Redeemer? Who does not adore the Great Almighty? My voice shall spread throughout the earth; I wish, facing My chosen people, to speak more words to them. Like the mighty thunders that shake the mountains and rivers, I speak My words to the whole universe and to mankind. Hence the words in My mouth have become man's treasure, and all men cherish My words. The lightning flashes from the East all the way to the West. My words are such that man is loath to give them up and at the same time finds them unfathomable, but rejoices in them all the more. Like a newborn infant, all men are glad and joyful, celebrating My coming. By means of My voice, I shall bring all men before Me. Thenceforth, I shall formally enter into the race of men so that they will come to worship Me. With the glory that I radiate and the words in My mouth, I shall make it such that all men come before Me and see that the lightning flashes from the East and that I have also descended unto the 'Mount of Olives' of the East. They will see that I have already long been on earth, no longer as the Son of the Jews but as the Lightning of the East. For I have long since been resurrected, and have departed from mankind's midst, and then reappeared with glory among men. I am He who was worshiped countless ages before now, and I am also the infant forsaken by the Israelites countless ages before now. Moreover, I am the all-glorious Almighty God of the present age! Let all come before My throne and see My glorious countenance, hear My voice, and look upon My deeds. This is the entirety of My will; it is the end and the climax of My plan, as well as the purpose of My management. Let every nation worship Me, every tongue acknowledge Me, every man repose his faith in Me, and every people be subject unto Me!” (“The Seven Thunders Peal—Prophesying That the Gospel of the Kingdom Shall Spread Throughout the Universe” in The Word Appears in the Flesh). “As I turn My face to the universe to speak, all mankind hears My voice, and thereupon sees all the works I have wrought throughout the universe. Those who go contrary to My will, that is to say, who oppose Me with the deeds of man, will fall down under My chastisement. I will take the multitudinous stars in the heavens and make them anew, and thanks to Me the sun and the moon will be renewed—the skies will no longer be as they were; the myriad things on the earth will be renewed. All will become complete through My words. The many nations within the universe will be partitioned afresh and replaced by My nation, so that the nations upon the earth will disappear forever and become a nation that worships Me; all the nations of the earth will be destroyed, and will cease to exist. Of the human beings within the universe, all those belonging to the devil will be exterminated; all who worship Satan will be laid low by My burning fire— that is, except for those now within the stream, the rest will be turned to ashes. When I chastise the many peoples, those in the religious world will, in differing degrees, return to My kingdom, conquered by My works, because they will have seen the advent of the Holy One riding on a white cloud. All of humanity will follow their own kind, and will receive chastisements varying with what they have done. Those who have stood against Me will all perish; as for those whose deeds on the earth have not involved Me, they will, because of how they have acquitted themselves, continue to exist on the earth under the governance of My sons and My people. I will reveal Myself to the myriad peoples and the myriad nations, sounding forth with My own voice upon the earth to proclaim the completion of My great work for all mankind to see with their own eyes. ... When I created the world, I fashioned all things according to their kind, making everything with a visible form gather together with its kind. As the end of My management plan draws near, I will restore the former state of creation, I will restore everything to the way it originally was, profoundly changing everything, so that everything will return into the bosom of My plan. The time has come! The last stage in My plan is about to be accomplished. Ah, unclean old world! You shall surely fall down under My words! You shall surely be reduced to nothingness by My plan! Ah, the myriad things of creation! You will all gain new life within My words, you now have a Sovereign Lord! Ah, pure and unblemished new world! You shall surely revive within My glory! Ah, Mount Zion! Be silent no more. I have returned in triumph! From the midst of creation, I scrutinize the whole earth. On earth, mankind has begun a new life, has won new hope. Ah, My people! How can you not come back to life within My light? How can you not jump for joy under My guidance? The lands are shouting in jubilation, the waters are cacophonous with gleeful laughter! Ah, the resurrected Israel! How can you not feel pride on account of My predestination? Who has wept? Who has wailed? The Israel of old has ceased to be, and today’s Israel has risen up, erect and towering, in the world, has stood up in the hearts of all humanity. Today’s Israel shall surely attain the source of existence through My people! Ah, hateful Egypt! Surely you do not still stand against Me? How can you take advantage of My mercy and try to escape My chastisement? How can you not exist within My chastisement? All those that I love will surely live for eternity, and all those who stand against Me will surely be chastised by Me for eternity. For I am a jealous God, I will not lightly spare men for all that they have done. I will watch over the whole earth, and, appearing in the East of the world with righteousness, majesty, wrath, and chastisement, I will reveal Myself to the myriad hosts of humanity!” (“The Twenty-sixth Utterance” of God’s Utterances to the Entire Universe in The Word Appears in the Flesh). Reading the words of Almighty God, we can all feel that this is God speaking to mankind. Apart from God, who could speak to all of mankind? Who could give expression to mankind of God’s intention to save mankind? Who could declare plain as day to all mankind God's plan for His work of the last days and mankind’s outcome and destination? Who could solemnly declare to the universe God’s administrative decrees? Apart from God, no one could. Almighty God speaks to the whole of mankind and let’s man feel the power and authority of God’s words; the words of Almighty God are the direct expression of God, they are the voice of God! All the words uttered by Almighty God are as if God stands upon the third heaven and speaks to all humanity; here Almighty God is speaking as the Creator to mankind, manifesting to mankind His unoffendable disposition of righteousness and majesty. 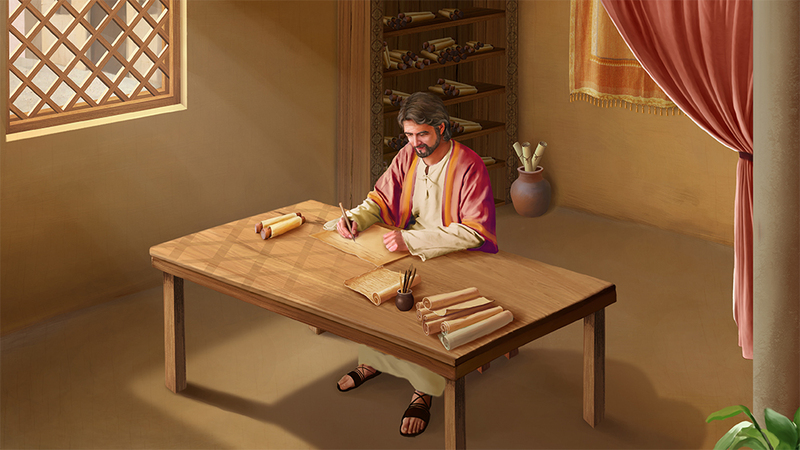 When the sheep of God hear the words of Almighty God, though they do not understand the truth of them in the beginning, and though they have no experience of them, they feel that every word of Almighty God has power and authority and can affirm that they are the voice of God and the direct utterance of God’s Spirit. God’s chosen people only need hear the words of God to affirm they are His voice. Why can those pastors and elders in religious circles condemn Almighty God? As for those various antichrists who do not recognize the incarnation of God, and do not admit that God can utter the truth, although they see all the truths that God utters and feel that His words have power and authority, they still do not believe that God can speak in this way and do not admit that everything that God utters is the truth. What is the issue here? Can you tell? Almighty God incarnate in the last days speaks to all mankind, but how many of us can hear God’s voice? There are at present many in religious circles who see Almighty God speaking, yet they cannot discern in hearing that it is the voice of God; they even treat the words that God speaks like the words of man, and go so far as to use man’s conceptions to judge, slander and condemn Him. Do these people have a heart that fears God? Aren’t they the same as the Pharisees of the past? They all hate the truth and condemn God. God’s words have such great authority, such power, and they do not hear in the slightest that these words are the voice of God. Can such people be God's sheep? Their hearts are blinded; though they hear, they do not know, and though they see, they fail to understand. How can such people be even worthy of rapture? God incarnate in the last days has uttered the truth, and exposed the people in religious circles: the true believers and the false, the lovers of truth and those who loathe it, the wise and the foolish virgins. All people are naturally divided, each into their kinds. As Almighty God says, “All who are wicked will be chastised by the words in God's mouth, all who are righteous will be blessed by the words in His mouth …” (“The Millennial Kingdom Has Arrived” in The Word Appears in the Flesh) Thus, those who can hear the voice of God have met the Lord’s second coming, and have been raptured before the throne of God and are attending the marriage supper of the Lamb. These people are the wise virgins, and the most fortunate of mankind. To hear the voice of God we must listen with heart and spirit. Like minds can easily be understood by each other. The words of God are the truth, they have power and authority; those with heart and spirit can definitely feel it. Many people, having read the words of Almighty God for just a few days, can affirm they are God’s voice and His utterances. Every time God incarnates He comes to do a stage of work; unlike the prophets who, via God’s directions, just transmit a few words in a particular context. When God incarnates to do a stage of work He must speak many words; He must utter many truths, reveal mysteries and speak prophecies. This needs years or even decades to complete. For example, in doing the work of redemption, the Lord Jesus first preached “Repent: for the kingdom of heaven is at hand,” (Mat 4:17). and taught man how to confess, how to repent, to forgive, to endure and how to suffer and bear one’s cross, and all else that constitutes the way man in the Age of Grace should follow. He displayed God’s disposition of love and mercy, and revealed as well the mysteries of the kingdom of heaven, and the conditions under which we enter it; it was only right up to His crucifixion, His resurrection and His ascension to heaven that God’s work of redemption was completed. The words uttered by the Lord Jesus are all the truths that God has gifted to mankind in His work of redemption. In the last days Almighty God has come, and uttered all the truths that cleanse and save mankind. He has done the work of judgment starting from the house of God, and revealed to mankind His inherent disposition with righteousness as its core. He has unfolded all the great mysteries of His management plan spanning six thousand years; He has opened up the Age of Kingdom and brought to an end the Age of Grace. The words of Almighty God are the natural outpourings of the essence of God’s life and the expression of His disposition; this is an entire stage of the work of word God is doing in the last days to thoroughly cleanse and save mankind. let us read some of the words of Almighty God, and hear whether they are the truth and God’s voice. “In the last days, Christ uses a variety of truths to teach man, expose the essence of man, and dissect his words and deeds. These words comprise various truths, such as man’s duty, how man should obey God, how man should be loyal to God, how man ought to live out the normal humanity, as well as the wisdom and the disposition of God, and so on. These words are all directed at the essence of man and his corrupt disposition. In particular, those words that expose how man spurns God are spoken in regard to how man is an embodiment of Satan and an enemy force against God. In undertaking His work of judgment, God does not simply make clear the nature of man with just a few words; He exposes, deals with, and prunes it over the long term. These methods of exposure, dealing, and pruning cannot be substituted with ordinary words, but with the truth that man does not possess at all. Only methods of this kind are deemed judgment; only through judgment of this kind can man be subdued and thoroughly convinced into submission to God, and moreover gain true knowledge of God. What the work of judgment brings about is man’s understanding of the true face of God and the truth about his own rebelliousness. The work of judgment allows man to gain much understanding of the will of God, of the purpose of God's work, and of the mysteries that are incomprehensible to him. It also allows man to recognize and know his corrupt substance and the roots of his corruption, as well as to discover the ugliness of man. These effects are all brought about by the work of judgment, for the substance of this work is actually the work of opening up the truth, the way, and the life of God to all those who have faith in Him. This work is the work of judgment done by God” (“Christ Does the Work of Judgment With the Truth” in The Word Appears in the Flesh). “Do you understand now what is judgment and what is truth? If you have understood, then I exhort you to submit obediently to being judged, otherwise you shall never have the opportunity to be commended by God or to be brought by Him into His kingdom. Those who only accept judgment but can never be purified, that is, those who flee in the midst of the work of judgment, shall forever be detested and rejected by God. Their sins are more numerous, and more grievous, than those of the Pharisees, for they have betrayed God and are rebels against God. Such men who are not worthy even to do service shall receive more severe punishment, a punishment that is moreover everlasting. God shall not spare any traitor who once evinced loyalty with words but then betrayed Him. Men like these shall receive retribution through punishment of the spirit, soul, and body. Is this not precisely a revelation of the righteous disposition of God? Is this not God's purpose in judging man, and revealing him? God consigns all those who perform all kinds of wicked deeds during the time of judgment to a place infested with evil spirits, letting these evil spirits destroy their fleshly bodies at will. Their bodies give off the stench of corpses, and such is their fitting retribution. God writes down in their record books each and every one of the sins of those disloyal false believers, false apostles, and false workers; then, when the time is right, He casts them amidst the unclean spirits, letting these unclean spirits defile their entire bodies at will, so that they may never be reincarnated and never again see the light. Those hypocrites who did service at one time but are unable to remain loyal to the end are numbered by God among the wicked, so that they walk in the counsel of the wicked and become part of their disorderly rabble; in the end, God shall annihilate them. God casts aside and takes no notice of those who have never been loyal to Christ or dedicated any effort, and shall annihilate them all in the change of ages. They shall no longer exist on earth, much less gain passage into the kingdom of God. Those who have never been sincere to God but are forced by circumstance into dealing with Him perfunctorily are numbered among those who do service for His people. Only a small number of such men can survive, while the majority shall perish along with those who are not qualified even to do service. Finally, God shall bring into His kingdom all those who are of the same mind as God, the people and the sons of God as well as those predestined by God to be priests. Such is the distillate obtained by God through His work. As for those who are unable to fall into any of the categories set by God, they shall be numbered among the unbelievers. And you can surely imagine what their outcome shall be. I have already said to you all that I should say; the road that you choose shall be your decision to make. What you should understand is this: The work of God never waits for any that cannot keep pace with Him, and the righteous disposition of God shows no mercy to any man” (“Christ Does the Work of Judgment With the Truth” in The Word Appears in the Flesh). In the last days Almighty God utters the truth and does His work of judgment. His words reveal the essence and the true state of the deep corruption of mankind; they completely expose every manifestation of man’s resistance to God and man’s imbuement with satanic disposition, and they display to mankind God’s unoffendable disposition of holiness and righteousness. People have therefore seen the appearance and work of God, and have turned toward God one after another, and have accepted God’s salvation. Almighty God expresses truth to judge people, and first implements judgment and chastisement through His words upon all people who believe in God, and exposes the true nature and real facts of all of those people of religious circles who profess belief in God yet resist God. Let us see how the words of Almighty God explain this. Almighty God says, “Man looks up to Me in heaven, and devotes particular concern to My existence in heaven, yet no one cares about Me in the flesh, for I who live among man am simply too insignificant. Those who only seek compatibility with the words of the Bible, and who only seek compatibility with a vague God, are a wretched sight to Me. That is because what they worship are dead words, and a God that is capable of giving them untold treasures. What they worship is a God that lays himself at the mercy of man, and which doesn’t exist. What, then, can such people gain from Me? Man is simply too lowly for words. Those who are against Me, who make limitless demands of Me, who have no love of the truth, who are rebellious toward Me—how could they be compatible with Me?” (“You Should Seek the Way of Compatibility With Christ” in The Word Appears in the Flesh). “Your hearts are filled with evil, betrayal, and deceit, and that being so, how many impurities are there in your love? You think that you have already given up enough for Me; you think that your love for Me is already enough. But then why do your words and actions always carry with them rebellion and deceit? You follow Me, yet you do not acknowledge My word. Is this considered love? You follow Me, yet then cast Me aside. Is this considered love? You follow Me, yet you are mistrustful of Me. Is this considered love? You follow Me, yet you cannot accept My existence. Is this considered love? You follow Me, yet you do not treat Me as befits who I am and make things difficult for Me at every turn. Is this considered love? You follow Me, yet you try to fool Me and deceive Me in every matter. Is this considered love? You serve Me, yet you do not fear Me. Is this considered love? You oppose Me in all respects and all things. Is this all considered love? You have sacrificed much, it is true, yet you have never practiced what I require of you. Can this be considered love? Careful reckoning shows that there is not the slightest hint of love for Me within you. After so many years of work and all the many words I have supplied, how much have you actually gained? Does this not merit a careful look back?” (“Many Are Called, but Few Are Chosen” in The Word Appears in the Flesh). “The purpose of your faith in God is to use God in order to fulfill your aims. Is this not further a fact of your offense against the disposition of God? You believe in the existence of the God in heaven but deny that of the God on earth. However, I do not approve your views. I commend only those men who keep their feet on the ground and serve the God on earth, but never those who never acknowledge the Christ who is on earth. No matter how loyal such men are to the God in heaven, in the end they will not escape My hand that punishes the wicked. These men are the wicked; they are the wicked ones who oppose God and have never gladly obeyed Christ. Of course, their number includes all those who do not know and, further, do not acknowledge Christ.” (“How to Know the God on Earth” in The Word Appears in the Flesh). “People, who have been corrupted, all live in Satan’s trap, they live in the flesh, live in selfish desires, and there is not a single one among them who is compatible with Me. There are those who say that they are compatible with Me, but who all worship vague idols. Although they acknowledge My name as holy, they tread a path that runs contrary to Me, and their words are full of arrogance and self-confidence, because, at root, they are all against Me, and incompatible with Me” (“You Should Seek the Way of Compatibility With Christ” in The Word Appears in the Flesh). We have recognized from the judgment of Almighty God’s words and have seen our conceit, our self-importance and our deceit and that in all respects we betray our satanic disposition. Though we may expend ourselves, endure hardship, and pay the price for God, we do not have authentic submission toward God, and even less do we have authentic love for Him. When trials and tribulations come, we may even complain about God, and suspect God, and deny God. This allows us to recognize that we deeply corrupted humans all have the nature of Satan. If our satanic nature, and our satanic disposition cannot attain purification, there will be no way to achieve authentic submission to God, and authentic love for God. In the past, we thought that we had believed in God for many years, had given things up and expended ourselves for God, had worked hard, so we had become good, and had become people who loved God and submitted to God. Only after experiencing the judgment and chastisement of Almighty God have we become aware, though in outward appearance we toil arduously for the Lord, yet we still often lie and deceive God, do lip service to God, remaining opinionated, drawing attention to ourselves, and showing off. Ultimately we’ve realized that our efforts and expenditures were in fact only to gain blessing, to obtain the reward of entry into the kingdom of heaven, all of which is bargaining with God. How can this be authentic submission to God? Even less is it an expression of love for God! Even so, we shamelessly said how we were the most God-loving, and the most submissive to God. This is truly senseless; it is not knowledge of God at all. In the revelation and judgment of God’s words, we see that God sees into everything, and we fear and tremble in our hearts when we feel His immense holiness, righteousness and that His disposition is unoffendable. We feel that satanic as we are, we are ashamed to see God, unworthy to live before Him, then we fall down on the ground, wailing in repentance, even cursing ourselves, and slapping our own faces. Only then do we see that we live in our satanic disposition daily, and have not lived like a human being at all, and do not deserve the name human. Only when we have experienced many judgments and chastisements, trials and refinements, as well as some prunings and dealings, do we gradually understand some truths, and authentically see through to the truth of our corruption. At that time we have some authentic knowledge of God, and at last begin to revere God and submit to God in our heart. Only this is entering the right track of belief in God. All of this is the outcome of going through judgment and chastisement by God. Were it not for the judgment and chastisement of the words of God, we would never have seen the true picture of our deep corruption by Satan, we would never have known the source of our sinning against and resisting God, and even less would we have known how to free ourselves from the bonds of sin and its rule over us to become truly obedient to God. Were it not for the strict judgment of the words of God, we could not know His righteous, majestic and unoffendable disposition; nor could we grow a heart that fears God, and nor could we become someone who fears God and departs from evil. This is a fact. 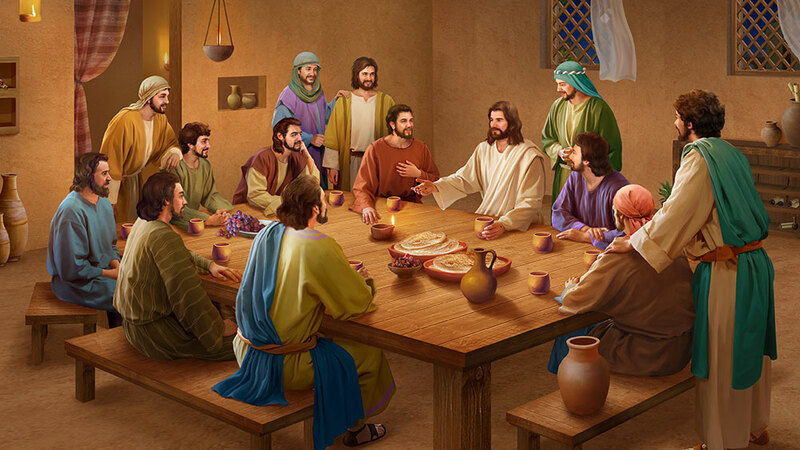 If God did not incarnate, who could do the work of judgment in the last days? Who could show to man God’s holy, righteous, and unoffendable disposition? If God did not incarnate, whose words would have such power and authority to be able to judge us, cleanse us, and save us in our deep corruption from sin? Almighty God’s words and work completely show His status and identity as God, and show Him to be the Creator, and the appearance of the one true God! We have recognized the voice of God in the speech of Almighty God, and seen God’s appearance. Why have there been so many people in recent years who abandon everything to spread and bear witness for the words of Almighty God? 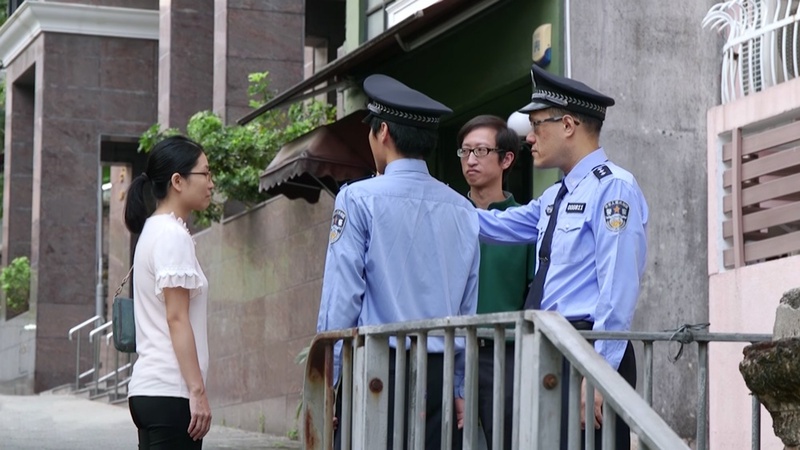 Why have there been so many people who risk being caught, persecuted, and even killed by the CCP government as they spare no effort in spreading and bearing witness for Almighty God’s work? Why have so many people preferred to endure the abandonment, humiliation, banishment, and condemnation by religious people so that they can go door to door spreading the gospel to them? It is because they have heard the voice of God, and have welcomed the appearance of God. They have answered God’s demands, and relay the message, “Behold, the bridegroom comes; go you out to meet him” (Mat 25:6). Is this the Lord knocking on the door? And will we open the door for the Lord? So, when the Lord sends people to knock on our doors, should we pursue and investigate the true way, and seek to hear the voice of the Lord? Previous：Question (2): It’s that the Lord Jesus once said: “I go to prepare a place for you. And if I go and prepare a place for you, I will come again, and receive you to myself; that where I am, there you may be also” (Jhn 14:2-3). The Lord Jesus was resurrected and returned to heaven to prepare a place for us, so that means the place He prepared should be in heaven. If the Lord has returned, it should be to rapture us into heaven, to first lift us up into the sky to meet with the Lord. What you’re bearing witness to now is that the Lord Jesus has returned, that He has become flesh and is on the earth speaking and working. So how is He going to lift us up to the kingdom of heaven? Is the kingdom of heaven on earth, or is it in heaven? Next：Question 1: We have believed in the Lord for so many years. Although we can preach and work for the Lord and suffer a lot, we can still always lie, deceive and defraud. Every day, we speak in defense of ourselves. So often, we are arrogant, opinionated, ostentatious, and condescending to others. We live under the situation of sinning and repenting, unable to escape the binding of the flesh, let alone experience and practice the Lord's word. We haven’t lived out any reality of the Lord’s word. In our case, can we be brought into the kingdom of heaven at all? Some people say, no matter how we sin, how we are bound by the flesh, the Lord sees us as sinless. They go by Paul's word: “In a moment, in the twinkling of an eye, at the last trump: for the trumpet shall sound, and the dead shall be raised incorruptible, and we shall be changed” (1Co 15:52). And assume that the Lord will instantly change our form when He comes and bring us into the kingdom of heaven. Some people believe that those who receive salvation by faith but still constantly sin are unqualified to enter the kingdom of heaven. It is mainly based on God’s word: “Not every one that said to me, Lord, Lord, shall enter into the kingdom of heaven; but he that does the will of my Father which is in heaven” (Mat 7:21). “… you shall therefore be holy, for I am holy” (Lev 11:45). These are two competing viewpoints that no one can say clearly, please communicate for us.